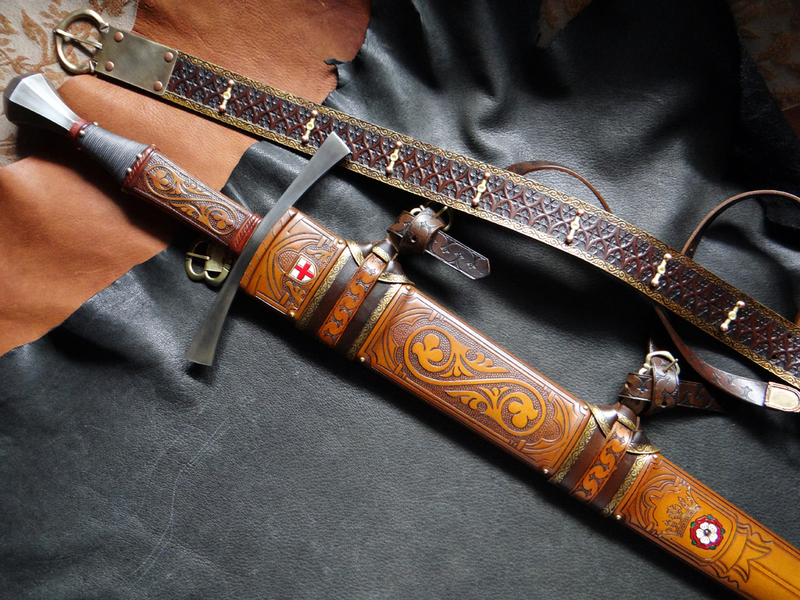 On occasion we have swords and or scabbards available for sale here. Check back periodically for new items added. Greetings everyone. 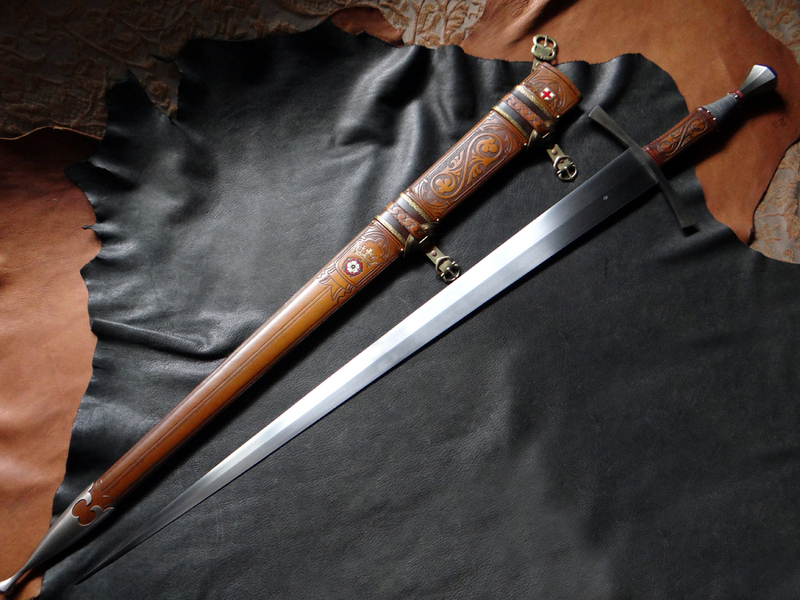 Up for grabs is a highly customized Albion XVa sword. 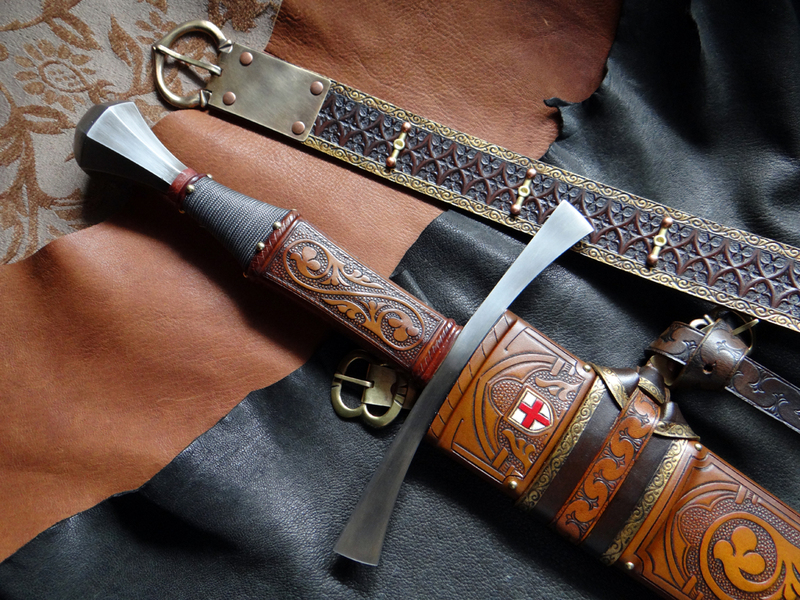 This will be going to Combat Con in August (2nd-5th) for display at the Albion booth and will be available to ship immediately afterwards (or you can pick it up at the show). 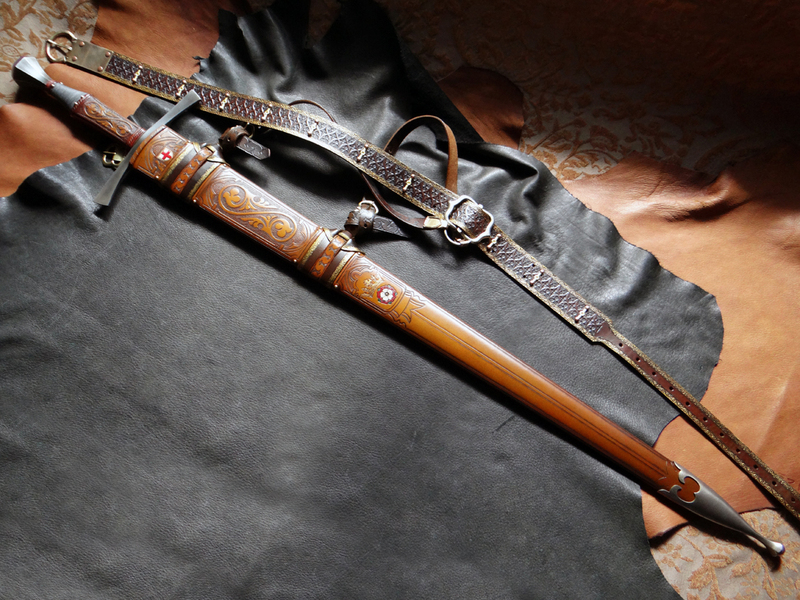 The hilt is completely customized complete with a new wood grip, and premium oak-tanned leather. A custom 'braided' half-wire wrap finishes it off. For purchasing, inquiries, or other please feel free to contact me. All reasonable offers considered as well.